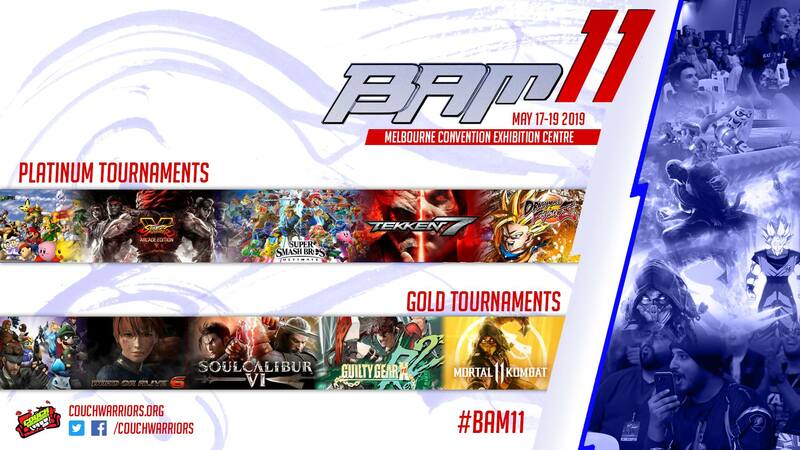 #BAM11 is the continuation of Australia’s Biggest Fighting Game event! Once again our community of passionate gamers are flocking to the Melbourne Convention and Exhibition Centre on the 17th-19th of May. It’s the largest open entry esports event in the region and an international destination. In 2018 CouchWarriors also hosted Dragon Ball FighterZ World Tour events. Further 2019 BAM special events are to be announced. 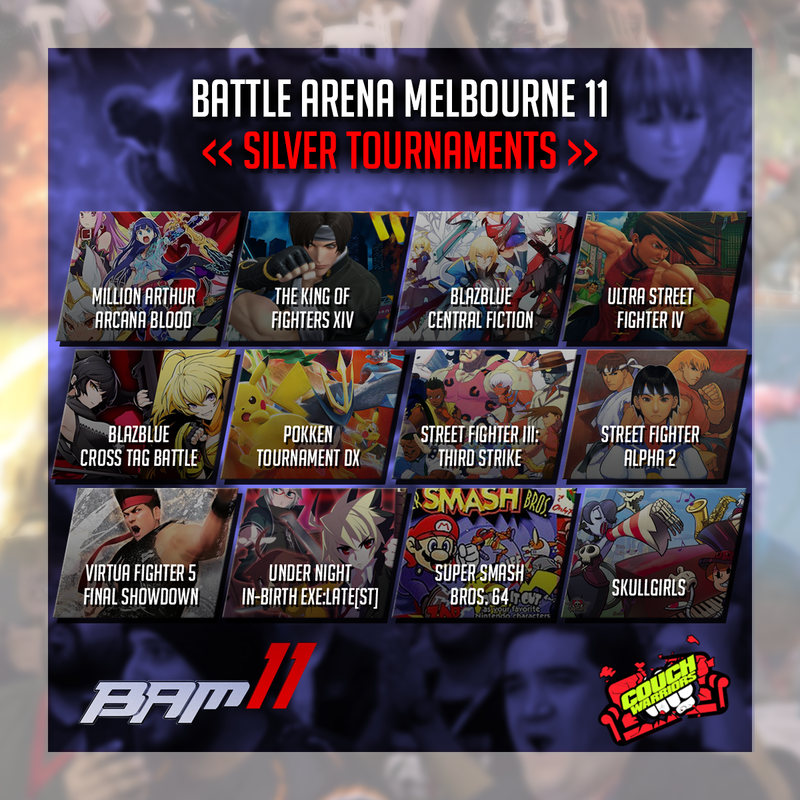 BAM proudly supports tournaments across the fighting game community in a three day festival of gaming. $60 late registration (Ends Thursday May 16th Midnight). Speak to our TO’s at the Registration Desk to pick up your passes. Once you have your pass, you will be free to play casuals or when scheduled, play your tournament matches. Double bay at MCEC, huge floor space for setups, special events and vendors. Free to play casual setups for full venue ticket attendees. A huge range of international guests – global esports tour participation to be announced. Friday Night Exhibition tournaments to be announced. Indie Developer Showcase Details TBC. Melbourne Convention and Entertainment Center is located close to both Southern Cross and Flinders Street Stations. If approaching from Southern Cross Station, the venue is a short 11 minute walk away. In addition to this, you can also take either the 96, 12 or 109 Tram, which stops close to the venue. If approaching via Flinders street, its a 15 minute walk via the Yarra Promenade.